‘Sir, will you have tea or coffee’? I looked back to find a giant of a man exceeding 6 ft 4” in height and weighing around 140 kg, very dark complexioned, with well chiseled face and a contrast white teeth flashing in smile. My heart almost skipped the beat at the sight ! ‘What is your name?’ I enquired. ‘Abdullah’ he replied as he poured out the strong black coffee in the cup. ‘Do you have milk?’ I continued. ‘No sir’! He replied. We were admiring the beautiful blue hue and silver reflections of the River Nile. The sprawling city with minarets soaring skywards as visible from the terrace of the restaurant looked majestic. It was located atop the hotel’s 16th floor where we stayed in Dokki, in the city centre of Cairo. The breakfast was sumptuous and the strain of previous day’s travel had almost worn off after a good night’s rest. The flight from Amman in Jordan was a short one taking just about an hour to reach the Cairo International Airport. It was already dark when we checked in the hotel and except for the glitter of the market place we could not see much. Cairo is the largest city in Africa and the Arab world and has a unique culture and historic past! I had been tempted to visit the lovely city for the great offing this city has! There is virtually everything that a traveler looks for starting from the famous Pyramids, the market places, historical sites, music, dance, operas, food and shopping! The exotic city fits the bill completely for a short or a longer holiday! The clock had started ticking for me and there was no time to waste, so we hit the street and decided to visit the Pyramids first! There are multiple options to travel from public buses to metro and taxis which are very convenient. We hailed a taxi to take us to Giza which is located almost 12 km away. The drive through the busy streets of Sharl De Gool, Mourad and finally Al Ahram took us a little more than half an hour to reach Haram. 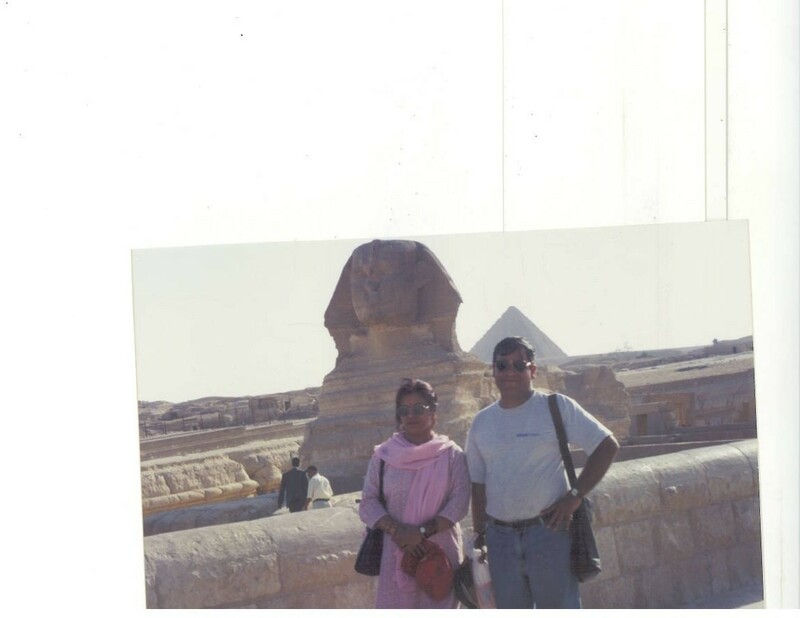 The mighty Sphinx and the Pyramids of Giza were now visible standing tall on the huge sandy expanse. It was like looking at the school history book! 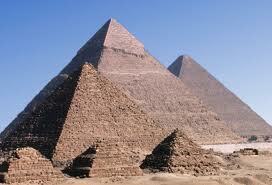 There are three pyramids and the biggest one is called as The Great Pyramid of Pharaoh Khufu or Cheops. We looked upon the great structure with awe which was tallest structure for more than 3800 years, towering 481 feet. It is estimated that 5.5 million tons of limestone, 8,000 tons of granite (imported from Aswan), and 500,000 tons of mortar were used in the construction of the Great Pyramid. In the vicinity are two more pyramids which were constructed in the memory of Pharaoh Khafrae and Menkaure. We could not visit the biggest one as it was closed so we went to visit the smallest one of Menkaure which is 205 ft tall. We had to bend very low through the long tunnel to enter the structure. The air was damp and it was a creepy feeling to enter the antechamber where the coffin of Menakure is preserved. After the visit inside, it is difficult to believe that how these wonders were created by humans with virtually non existent technology compared to what is available today. We found some Bedouin tribesman with camels who were beckoning us for a ride around the Pyramids. As my wife tried hard to climb the camel’s back, one of the Bedouin lifted her and put her on the seat almost effortlessly, much to our amusement! 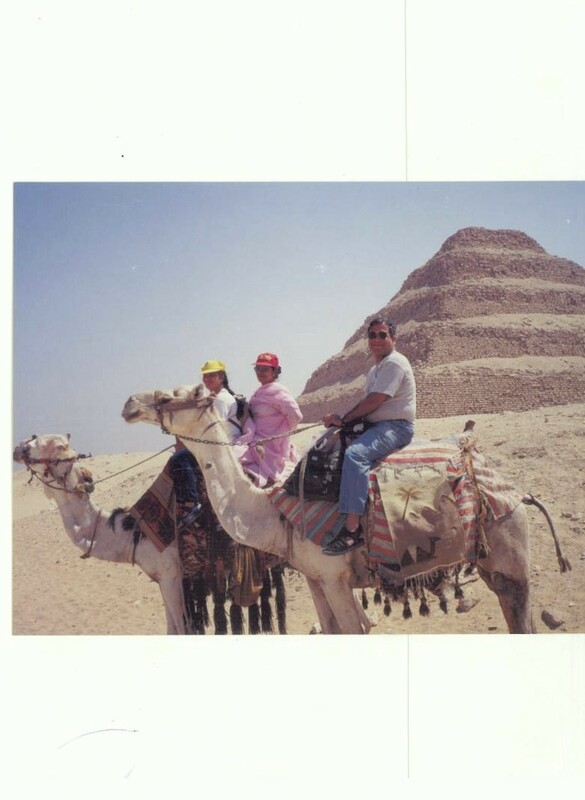 The camel ride at Giza plateau is a ‘must do’ for the first time travelers for the unique experience. A short distance away stands the mighty Sphinx which has the body of a lion and the head of a human! This is thought to be a guardian flanking the temples. This is located in the north and below the pyramids. According to the legends, the head of the Great Sphinx is that of Pharaoh Khafre. A sound and light show is held in the evenings here where the history of the Sphinx, Pyramids and various historical figures is depicted. Next on the list of places to visit was the Pyramid of Saqqara or the Step Pyramid. This was a vast burial ground in the ancient capital of Memphis about 30 km from the site of Giza! We had a haunting experience as one of the parked vehicles suddenly reversed as my daughter was crossing the road! Luckily, no one came to harm. Saqqara is the ancient burial place of non royals and has unique step architecture. This is now designated as a World Heritage site by the UN. There are several Step pyramids all over the world like the one in Mexico, Sardinia, Mesopotamia, Indonesia but each have their unique history. We continued our historical exploration to see the statue of King Ramses II. There was a small Papyrus making factory in the vicinity where they still made the hand made paper with the paintings of ancient Egyptian gods and goddesses! It was difficult to resist the temptation so we bought a couple of them! It was a hot day and we sighted fresh water melons on the way and picked the same to quench the thirst. In the evening we walked up to the river front where hundreds of people had gathered. The place wore a festive look as the neon lit streets cast their reflections from the sparkling waters of the quiet flowing Nile. The flower sellers were selling garlands of jasmine flowers much the same way one sees around temples of Chennai! The only difference being that men adorn them around their wrists unlike women adorn in hair in Chennai! A boat ride on the Nile was the best way to bring an end to a very eventful day. For those having more time, a trip to Aswan and Luxor by river cruise on Nile lasting up to a week, will be a memorable experience. Next morning, we headed to the Tahrir Square and visited a treasure trove, The Egyptian Museum. It has more than 120000 collector antiquities. The most memorable ones are the chamber of mummies, the treasures of King Tutankhamen including the Gold Mask that weighs over 11kg of Solid Gold! Pharaoh Tutankhamen ascended the throne at the young age of nine years and died when he was just nineteen year old and his mummy is preserved in Luxor! Our next destination was the ancient Khan –el- Khalili market or the souk which is one of the oldest in the world. It is a virtual shopper’s paradise for clothes, souvenirs ,food and even for those who would like to smoke ‘hookah’ ( called Shesha). The aroma of freshly baked khubz (bread) is overpowering and to see the huge crates of them being carried is a sight worth remembering! There are several coffee houses and street food vendors in the area. Al Hussein mosque which was built in 1154 is one of the oldest Islamic mosques in Cairo and is located here. It is believed to contain the oldest complete manuscripts of the Koran. The sun was setting in the west as the muezzin was calling out for the ‘azan’( prayer) from the minaret. Another perfect day was coming to an end, as we traversed back to the hotel. The time just flew and I felt I should have spent some more time in this place. There was still so much left to see and do! There is so much history waiting to be explored. The next day we bid goodbye to Cairo (which means ‘The Conqueror’) as we boarded the flight to Tel Aviv, the next destination with a treasure of memories of the lovely city! PS- This post was written as a part of challenge posed by a nice blog friend Ramya when she awarded me The Kreativ Blogger Award on 04 Oct. I was expected to write something which pairs the picture below. In response is another picture and the words next to the challenge and this travelogue! u answered the challenge well. Living the trip through ur post.So much of new information here too, I didnt know cairo meant conqueror! Aha! 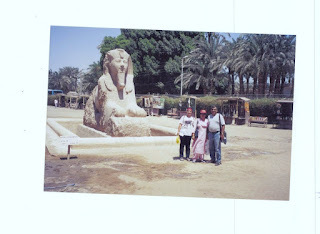 Lovely trip report on Cairo- the land of Pharaohs! Thank you Kusum and am happy you liked it! Thank you Shilpa for that nice comment! ooooooo I would go there! Great post! My husband has visited Egypt and has some great tales of the city. Is there any place that you have not visited? :). Rahul, one day I am definitely going to visit Egypt. I badly want to see the pyramids. Sure you must Rachna:) I hope it happens soon! and that reminds me I too need to do a article for Ramya.. Very true Bikram! A lifetime is not enough to see the beauty in this world. Wonderful read, Rahul. Why don't you turn your traveler's tales into a book? :-) Even your Melbourne trip (which had me completely fooled) would fit right in! I loved this post. I hope to visit Egypt some day! Thanks a lot for that very kind comment, Vidya! One needs a lot of dedication to write a book and then there should be takers too:)Hope your dream of visit to Egypt comes true! That was a great and powerpacked narration. Enjoyed reading this thoroughly.One can never have enough of places like Egypt which have such a great and long history. Have a great vacation. Looking forward to Tel Aviv. Incidentally how is the political scene in Cairo after the recent upheavals and overthrow of Hosni Mubarak ? Egypt! one of my dream destinations. Thank you for briefly taking me there. Btw, now that Tahrir Square has gone down in history, it's become a big attraction, I'm sure. Thanks a ton Divya for having liked the post!Tahrir Square has sure gone down the history like Tinemann Square in Bejing:)Hope your dream is realized soon! You are a vividly avid traveler. Thank you for taking me on such a beautiful trip to Egypt. I second to Bikram on this. Life is so short, when will one be able to visit so many places? btw, it was a a very sweet gesture to reply to Ramya's tag. That reminds me to do mine in time too..:) enjoyed reading it. Thanks a lot Latha for so many kind words! My apologies for not having responded to your challenge, may be due some preoccupation:( Please send me the link to your post so that I can do it now!! Harman, a huge thanks to you for having taken time off to read so many of my posts!I am honored and consider myself lucky to have such nice readers/ writers like you visit my blog:)Mummies are harmless and you must visit Egypt! Wow Rahul sir. I see Egpyt in a totally different light after this post. All the pics were beautiful, but I specificcaly liked the one with the both of you, the Sphinx and the pyramids far in the background. Its a awesome summed up photo for the entire trip. The thought in the end so meaningful, those dead still alive as wonders of the world. Indeed what a way to be alive! As always your travelouges leaving me captivated sir. Thank you, Jenny formaking my day so early in the morning! My sincere thanks for that wonderful comment and liking the pictures, though they could have been better! Jenny, Ramya is so sweet that whatever you write will be welcomed by open arms by her, what little I know her! Also, you are writer with great propensity who can churn out lovely posts! Your words about the pyramids are so wonderful, enjoyed this post so much, this is on the list of my places to visit.Just think about taking out my bright oranges and burnt siennas and start painting! very beautiful picture..Egypt looks and sound so mysterious to me..hope to see one day! Thank you Renu and the day is not far when your dream is realized! A big thanks Zuzana for the adulation:)I hope you see the place sometime soon! Excellent interpretation of the challenge, you truly bring the treasures and history of Egypt alive with your brilliant usage of language, it brings back such fond memories of visiting the ancient Pyramids. Loved that you added your own personal images to compliment the post. A huge thanks once more Sam for that profound comment! I just try to put across things as I remember:) I am happy it evoked some pleasant memories! Firstly, congratulations for the award. And nice account of the trip - a startling start! Thanks a lot Anupma for your kind comment! A wonderful post about Cairo! I really must go there one day. You are a great stoy teller, it's like being there with you! A big thanks Francesca for those kind words! Lovely. Would love to go visit. Loved how you stood upto the challenge posed! Egypt is on my bucket list and your blog wants me to push it right up there on the list! Egyptian mythology and mummies have always interested me so it certainly would be great to go see the tomb of Tut! Thanks a lot Richa for that very kind comment! You made my day by following my blog and it is indeed a good feeling to have you an accomplished writer and extensively traveled person here:) My best wishes for fulfilment of your dream to travel to Egypt! Thank you for stopping by, have a wonderful relaxing weekend! Wisjy you the same, Sam! Uma viagem ao Egito é um sonho. Hope you visit Egypt too:) Have a lovely weekend! I do love this side of the world! I have never been in Egypt, but Israel many times. Always longs back..
For someone who has travelled so extensively, you should start a travel blog and title it - Around the world with Rahul. A sincere thanks Purba for that nice advise:) Another Jules Verne, but am still a long way off! Thanks that you liked! Definitely worth a visit! Thanks foor being here! Exquisite travelogue!! A visit to Egypt is long overdue... I will be there one day!!Amen! I too have always wanted to go to Egypt. Beautiful writing. Thank you so much for these gems with us. 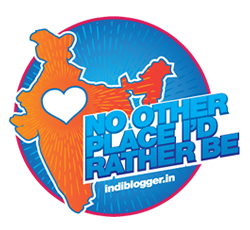 A very good travelogue, as you have rightly said it is country worth visiting.My husband too has visited this country many years ago on business, and has lots of interesting stories, filled with adventures, and sometimes making me wonder how has come back alive. My daughter too has gone to Egypt with two of her friends and she said the cruise trip was the best. Now of course it is difficult to visit. I am also looking forward to reading about your trip to Israel. We have so many beautiful places both in India as well abroad, that as Bikram says one life time is not enough. However, I am glad you could visit so many places. I have another friend who keeps writing about the most exotic places she has visited with lovely photographs too. It is always a pleasure to read good travelogues. Please promise you would put large size pictures in all your future blogs. Thank you Rama for such a nice comment! Honestly, I share these moments so that people can see the beauty of the world where we live!I will make sure that the quality of pics are better. These were taken prior to digital camera era:(I will now next write about Israel soon as you would like to read that!Send me the link of your friend too! Loved reading it because I love to explore places...Thnx for sharing. Myself have seen a few good places too and plan to pendown the uniqueness and beauty of each..hope I do it soon. good to be back again boss! loved the experience! Nice to see you back after a long break, Ashish! 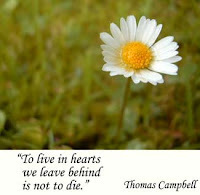 !Hope all well at your end!